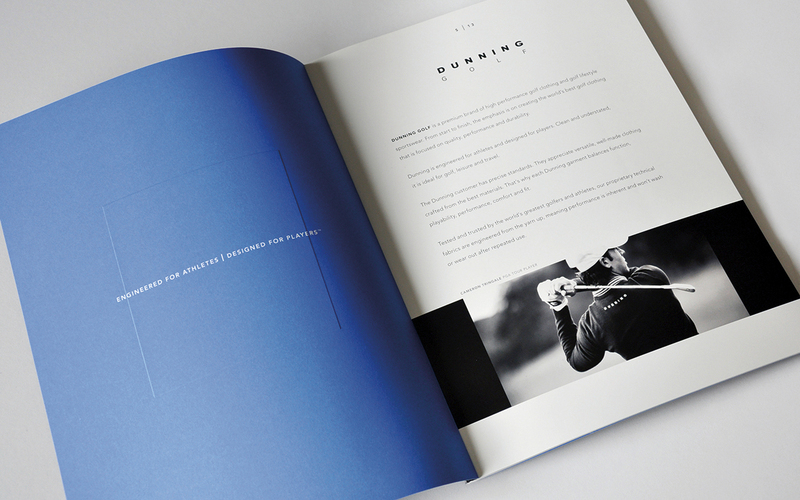 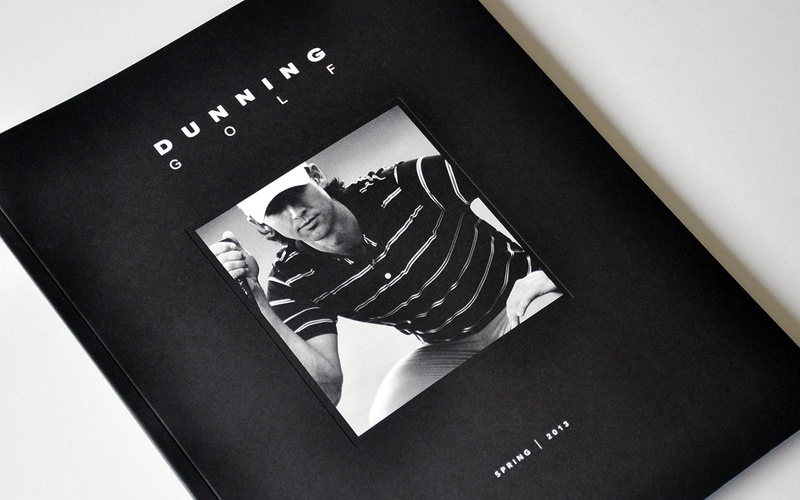 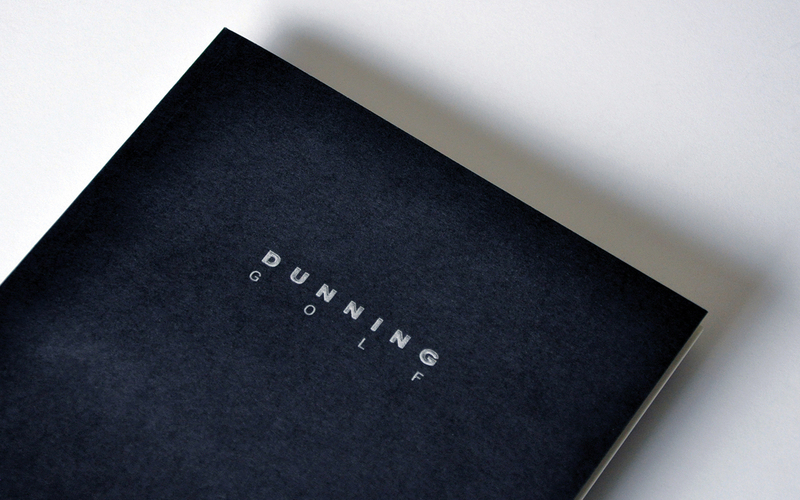 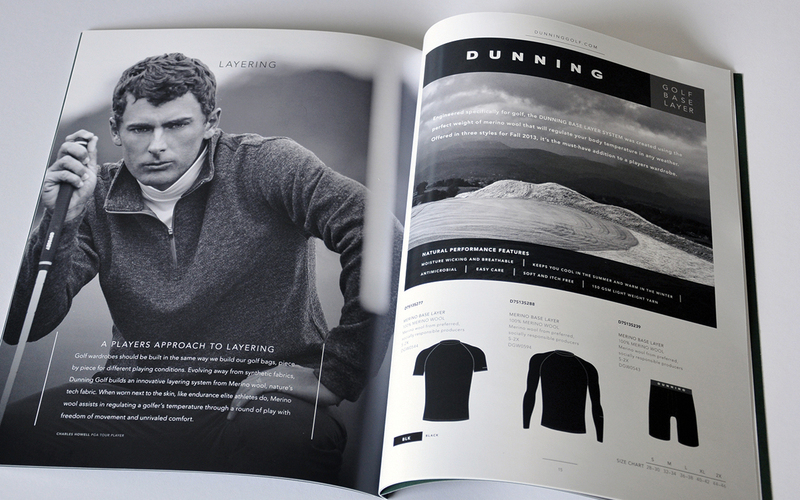 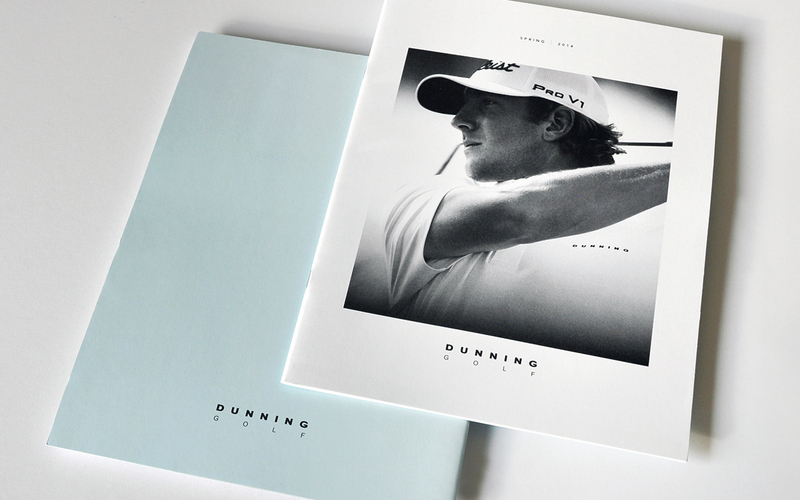 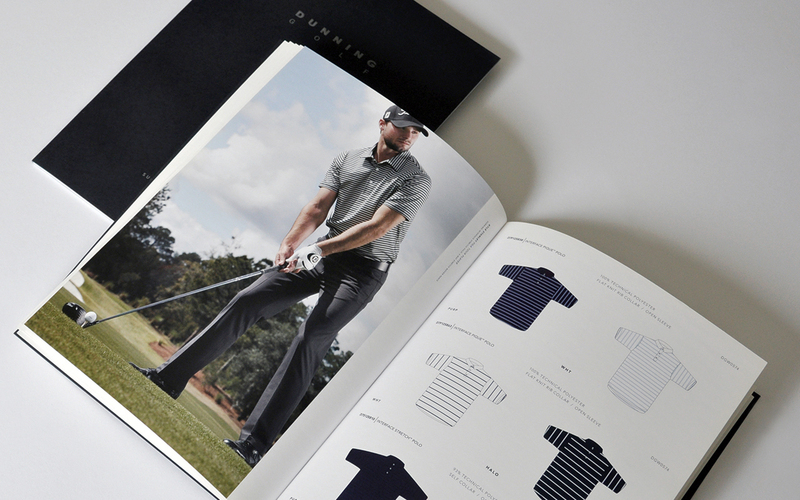 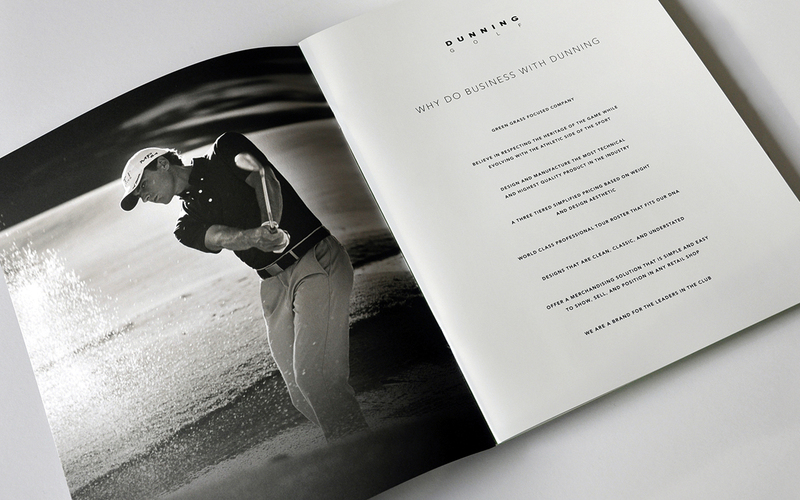 In 2012 we helped launch the premium brand of high performance minimalist golf clothing and golf lifestyle sportswear — Dunning Golf. 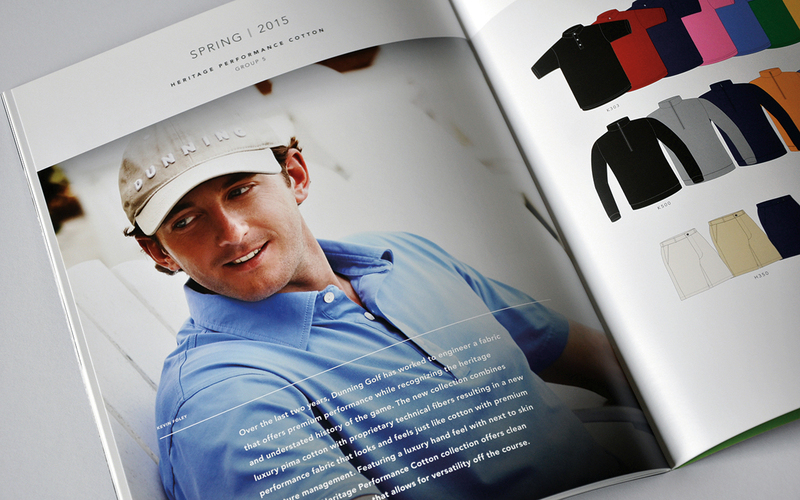 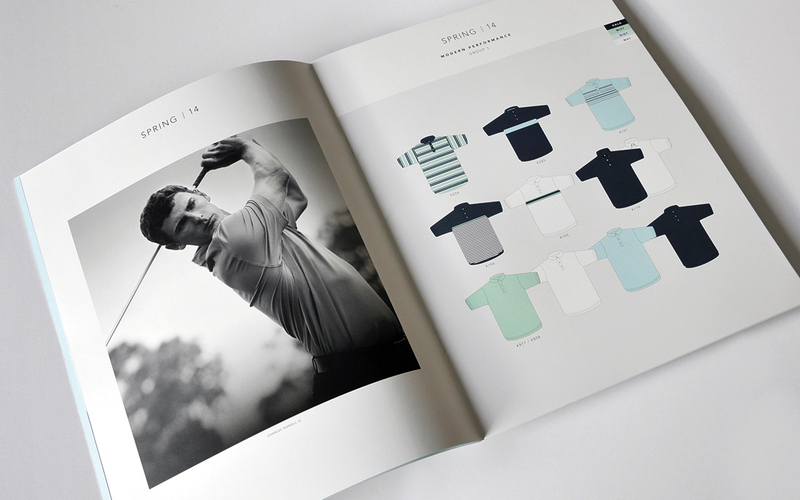 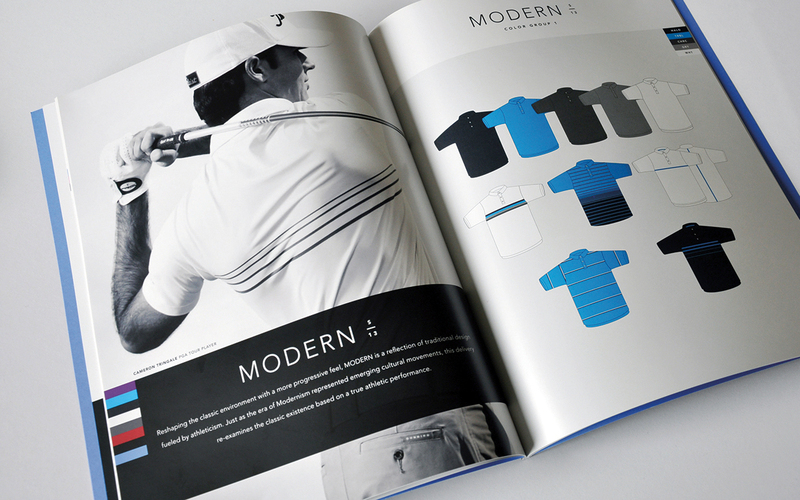 In short order the new brand needed a sales brochure, national print and digital advertising and environmental graphics for their first PGA Merchandise Show. 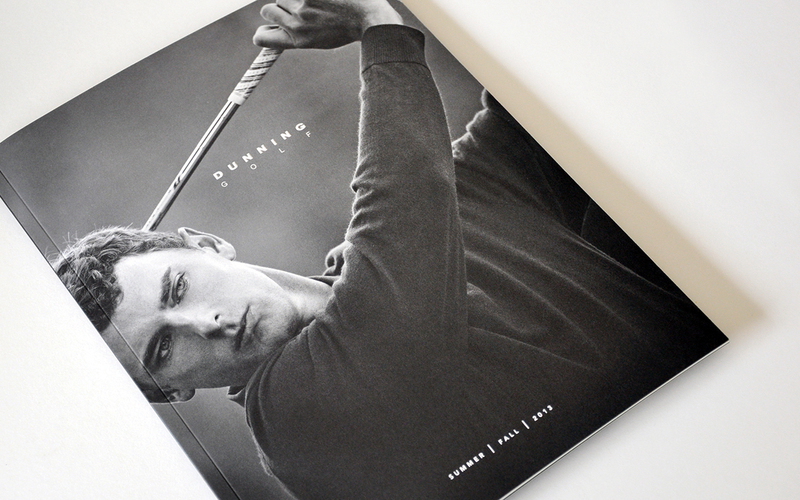 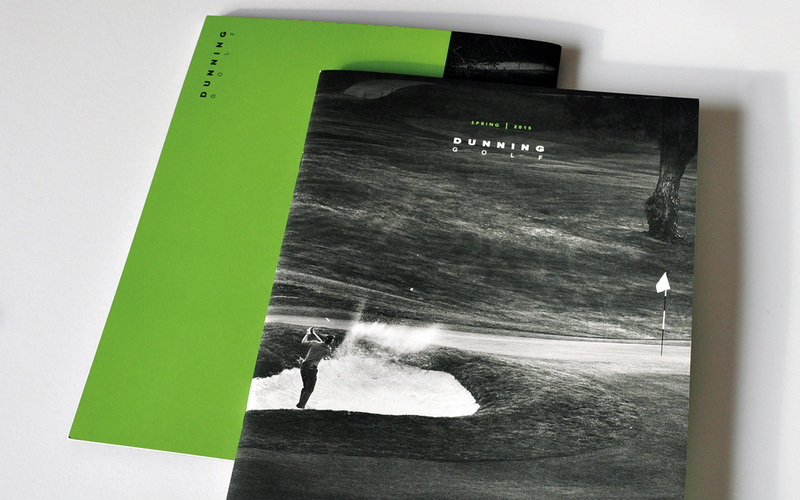 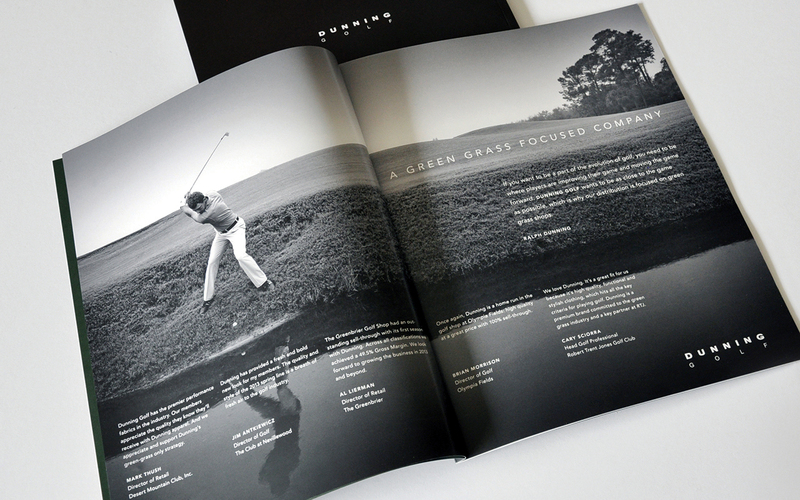 Black and white photography of young gun PGA players in action became a fundamental element for a bold brand look.